Our staff will be here with you every step of the way at Castle Craig Hospital as you start your journey to recovery. Read on to see what our staff say about the patient experience at our alcohol and drug rehab treatment at Castle Craig, the importance of community and group therapy in rehab, how the 12-step model helps recovery, and holistic treatment of patients through family therapy and diet. When patients first come into treatment, they’re usually extremely nervous. It’s a big step for them to take because they are coming away, in a way, from their best friend, which has been their addiction – the thing that got them through. And they can’t take their drug of choice and they can’t have a drink. 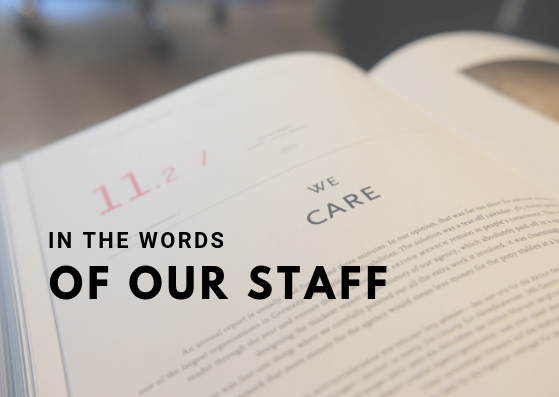 But hopefully, once they meet the staff and they see that we’re really down-to-earth and friendly, we explain that no one is going to judge them. Everybody is in the same boat at Castle Craig. Even some of the staff have a background where they themselves were once the victims of the disease of addiction. No one is going to judge them or make them feel not at home. The community will welcome them, and one wonderful thing about Castle Craig is the community of patients. All the time, there is people trying to help other people and support them. It’s a very equal community because everybody has this thing in common. Addiction is a disease that… It doesn’t pick a particular gender or group, social background, age, anything. People come from quite poor, difficult backgrounds, sometimes quite traumatic backgrounds. Sometimes they come from very privileged backgrounds. We have people that left school at 14, and we have people who have PhDs. So the variety of patients is phenomenal. The thing I probably find the most benefitting was the group therapy. I really found that a really amazing patient experience, a really powerful patient experience: being there and going to the groups every day, and comparing various issues there and getting the feedback. The challenge and the opportunity that the group gives, the sort of mirror that the group gives back to the individual patient. And that helped me see my… kind of… you know, things that I need to change about myself. Feel good about myself, feel positive about myself. So I came to a place where I didn’t want to use alcohol or drugs anymore. I realised they were killing me and I believe even today that if I hadn’t had the help of Castle Craig, I believe that if I didn’t have the support of my family and all the people that helped me come here to Castle Craig, I would be dead. Part of the assessment when people come in is for PTSD (Post Traumatic Stress Disorder) symptoms. And Castle Craig routinely assess for symptoms of PTSD. And then people usually would want to get into the programme to look into their addiction first, because you need that basis. Castle Craig is on a winner here because it’s not just doing the trauma treatment in isolation. The 12-step programme provides a really good container and it starts to do some of the repair work on damaged attachment because the programme itself, and the fellowship, provide attachments. Connections, relationships. People who care. And we all need that. We needed it as babies and if we didn’t get it, it’s going to leave damage. But the fellowship, and the community here, and the 12-step programme begin to do some attachment repair. Provide the possibility of relationship, of community, of connection. So, you’re doing trauma work in that context, which makes it a lot easier than if you’re working with someone on an outpatient basis, where they may still be in a situation where their family are not particularly supportive, or they’re living alone, they don’t have connections. So you have that to start with. You also have access here to other therapists. Castle Craig is not only about working with the patients, it’s also about working with families as well. This is a family illness. We know that when a family member gets involved in treatment at any level, the outcome, the prognosis for the patient is much better. Families tend to be guilt-ridden, “It’s my fault. It’s something I’ve done. It’s something I haven’t done.” To get over to the picture of addiction, it’s much more complex than that. It’s much bigger than who they are. I also use family therapy as an opportunity for the family members to tell the patient what it was like. And then I suggest this to the families and many times they’ll say, “I’ve done all that before.” But there’s a big difference doing it when a person is clean and sober, when they’re in a safe container – and really more important, that there is a witness there. The therapists are the witness. We can detox anyone. We’ve proved that at Castle Craig. We can detox anyone. We can’t keep them clean unless the person deals with their issues or deals with themselves. Where are you going to do that? You’re not going to do it on an outpatient basis because you’re just going in to get your prescription, you’re going in to talk to the person because you have to, you’re going in and then you’re going right back out into your environment. Where there are the same things you’ve run into, lived in, without any break from it, without any ability to have the space in your brain to see something different. You know, they say you can take a horse to the water; you can’t make them drink, but you can make them damn thirsty. And that’s what we hope to do here. If anything, we can make them thirsty for this recovery, because it works. If it worked for me, it can work for anyone. A lot of people look at me and say, “Well you got this… you wear a coat, a tie and all that stuff.” I say… Yeah, ok, but that’s one thing. When I came into treatment, I was crawling. I was on my hands and knees. I needed help. I didn’t want it; I wanted to continue doing… I had just about given up on everything. Somehow, I managed and it worked. It’s been, I said 30 years earlier, but it’s not quite 30 years since… It’ll be 30 years on the first of October, one day at a time, once I get there. 30 years of being in recovery, as I said, it’s the single most important thing that’s ever happened in my life. I considered that… I looked at different modalities of treatment, I’ve looked at other ways of approaching addiction. I see nothing that works better than the 12-step concept. And by working here and being there for patients, I think it is very important. Sometimes people have been neglecting their diet when they come in. If your most important thing every day is to take your drugs or alcohol, or both, food often takes a back seat, especially if money is an issue. And so, people might be very deficient in vitamins, fiber, minerals. If necessary, we put them on a care plan for their diet, we give them advice about healthy eating and we make sure that they are eating. And there’s always plenty of opportunity to eat at Castle Craig. I think anyone coming into treatment will have a sense of low self-esteem. So there’ll be some shame about what has been happening to them, the behaviours they’ve engaged in, the problems with relationships that have occured because of the illness. And part of the treatment process is to build up that self-esteem. Also, that self-belief, the self-efficacy that, “Yes, I can do this! I am capable!” And that is very much part of the process, is to become as fully that person as they can be. To fulfill that potential. To be fully alive. When patients leave Castle Craig, we always do a medical aftercare plan with the patient. We talk about their diet, their smoking habits. Hopefully, by then we might have persuaded them to give up smoking as well. Or if they have started to cut down, to give up smoking, to continue with that. We talk about exercise and we talk about any particular medical condition they may have. This is a really important part of the discharge process. We take photographs of people when they first come in and sometimes the patients want to take that photograph home with them. We just take the photograph as a way of identifying the patient, but they like to take a copy of that photograph home with them because they look at that photo and say, “I can’t believe that’s me.” Or we can’t believe it’s them either. It’s like a different person sometimes by the time they go home. If it was just rehab, I guess it we would just get them in, detox them, do a bit of therapy and out they go. It’s not like that at Castle Craig; it goes way beyond that. And we genuinely care about people and do our best for people, for each individual. I feel that you can’t help but care for people quite strongly and you get to know them very well. You worry about them sometimes, you’re really happy for them sometimes as they go through their ups and downs. And when they leave, we’re all sort of crossing our fingers and wishing them well. And it’s wonderful if they come back to the reunion. Then, sometimes they look so much better physically and emotionally that you hardly recognise them. They often come over to you and give you a big hug and tell you that they’ve been sober for a whole year since they’ve left, or two years or five years since they’ve left. It’s fantastic. For more help and information regarding addiction, you can contact us or request a call-back from a therapist. Back to: Why Choose Castle Craig?